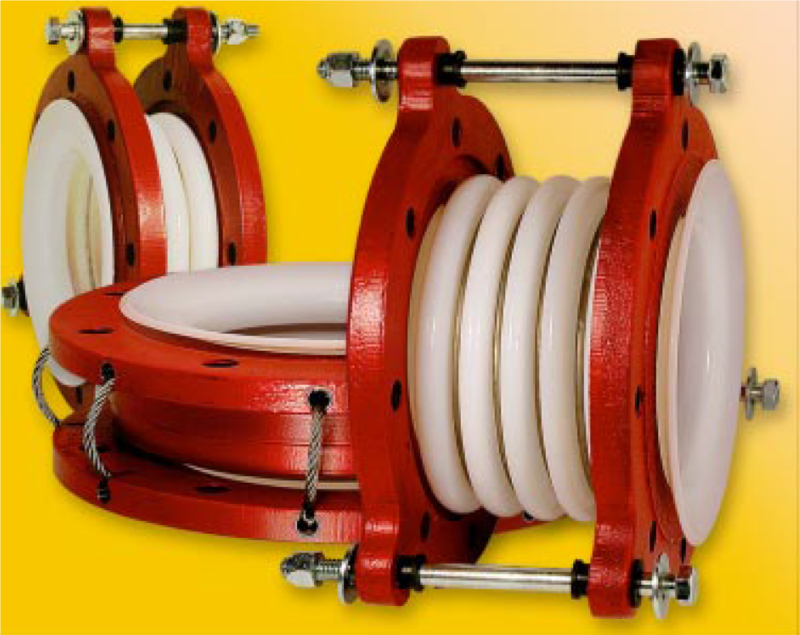 Hunter Expansion joints offers Teflon lined metal expansion joints, Teflon lined rubber expansion joints, and fully molded Teflon molded Coupling design expansion joints for severe, corrosive, and harsh duty piping applications. Hunter MT Series Teflon Metal Bellows joints maintain high pressures under corrosive environments and temperature capacities to accommodate system shut down and urgent replacement needs. Hunter RT Series Teflon Lined Rubber Bellows joints also maintain high pressures while providing tremendous corrosion protection against corrosive fluids and solutions conveyed through plant piping. 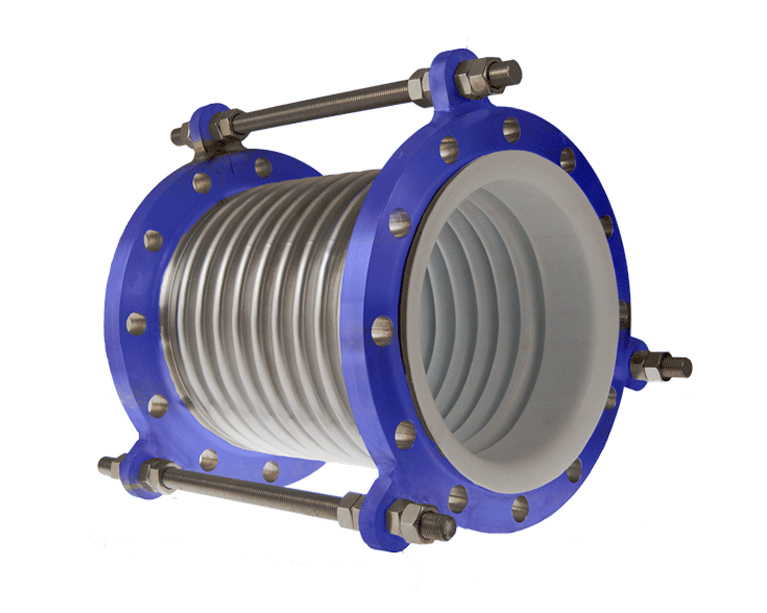 Hunter TM Series Teflon Molded Coupling expansion joints provide 100% PTFE molded construction for corrosive piping applications with 2, 3 or 5 Convolution width designs available. 100% Teflon (or PTFE) molded constructions.